I am baffled by the critical reception to Jurassic World: Fallen Kingdom. Sitting at an unbelievable 51% critics rating on Rottentomatoes.com, reviewers are claiming this entry is stale, unimaginative, and lacking the magic of its predecessors. 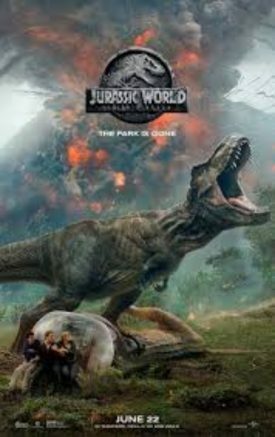 I completely disagree with those criticisms and believe the film actually improves the series by being darker, scarier, and providing all the expected dino-action without sacrificing the heart and character of this franchise. Jurassic World: Fallen Kingdom should leave moviegoers totally satisfied with action, thrills, and a scarily plausible plot in today’s world. The film has a few problems that hold it back from being one of the greats. Rafe Spall’s human villain simply lacks a threatening screen presence and is one of the weakest baddies this year. The writing for his character isn’t amazing, but I was more taken in by Wayne Knight with his goofy shaving cream can in the original than by this guy. Knight was enticing in his greed, but this guy is so milquetoast that he comes off more like one of those 90’s villains who wants to close the rec center than a manipulative businessman. Worse still, Toby Jones appears as a secondary bad guy, and is much more engaging. I either would have made Jones the main villain or recast Spall with David Cross (Tobias from Arrested Development). There’s also some mediocre aging make-up and weak explanation for Sermon’s accent, but my complaints end there. These problems are minor in the grand scheme of things. We come to these movies for the dinosaurs and characters, and we get great results with both. While it doesn’t match the original classic, Jurassic World: Fallen Kingdom is a surprisingly solid sequel with great action, good characters, and the possibility for future adventures. Also look out for Jeff Goldblum in the beginning and end returning as Dr. Ian Malcolm, and BD Wong as Dr. Wu. This is one attraction you need to see up close.